Biography: He joined a commercial firm as a clerk in his hometown of Barcelona in 1910. In 1912, he began to paint, and formed a friendship with Artigas, who later founded the Agrupacio Courbet. In 1918, he held his first exhibition at Dalmau’s Gallery in Barcelona, and in 1921, he held another at the Galerie La Licorne in Paris. Head of Catalan (1924) and Ploughed Land (1924) signified a change in his artistic style. 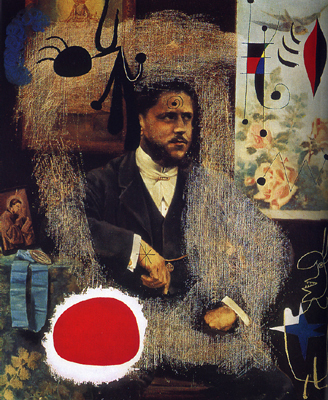 He became a successful promoter of surrealist painting, but was looked down upon by the surrealist group when, in 1926, he collaborated with Max Ernst on designs for Diaghilev’s Ballets Russes’ Romeo and Juliet. 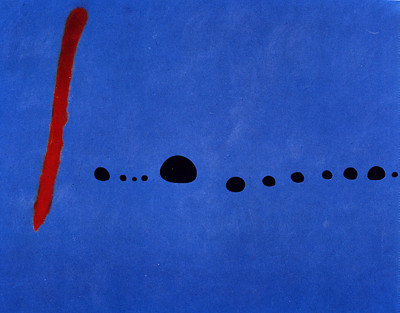 From 1940 to 1941, he painted Constellations, a series of identical-sized paintings which he finished in Catalonia. The years between 1954 and 1959 were spent mostly on ceramics and lithographs, and Miro lived most of this time at Palma de Mallorca in a house that Jose Luis Sert built.